It's the moon mission for the masses. 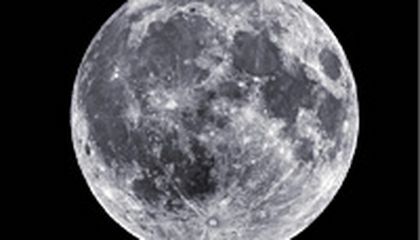 A project to fund a private lunar exploration mission has gotten underway, offering the public the chance to take part. For as little as $15, Lunar Mission One gives the public a chance to buy space on memory discs that will be buried in a hole drilled into the lunar surface. The public will be invited to leave music, photos and videos on the discs, helping create a chronicle of the people of Earth. Those offering more funding will leave more data, including DNA in the form of a strand of hair. The mission plans to land a spacecraft on the moon in 10 years. It will drill a hole at least 21 yards but possibly as deep as 109 yards to access lunar rock that is billions of years old. It will use crowd-funding platform Kickstarter to finance its development phase. "We have carried out research and been quite surprised by how keen people are," said David Iron, a British engineer. "School kids think the idea of having a bit of themselves on the moon is fantastic." Lunar Mission One hopes to tap into the excitement surrounding the European Space Agency's recent historic first, landing a washing machine-sized spacecraft on a comet speeding through our solar system at 41,000 mph. Critical thinking challenge: Why is Lunar Mission One only offering a chance to bury data on the moon? Why arent they offering a guarantee? I really don't think that if you put anything music or videos out in space that is going to get any feed back about the music or video. So they shouldn't send any music out of space it's not going to give no good . Lunar Mission One is only offering a chance to bury data on the moon instead of a guarantee because they might not be able to fully drill a hole into the Moon. Something could go wrong in the 10 years to get in the way of drilling that useless hole into the Moon for something that makes no sense to do. It sounds nice but it is not the best thing in the world. 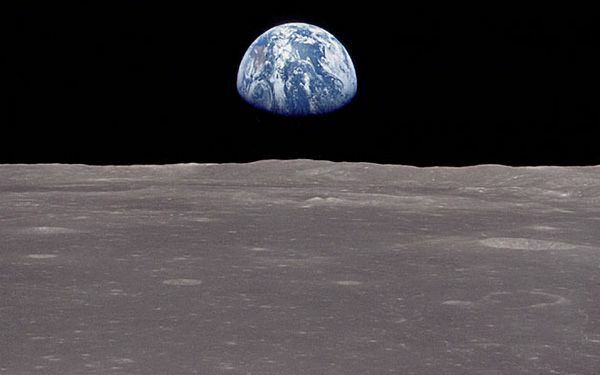 I think it is fun to know that a piece of your property can be on the moon just for $15, so people will bring in DVDs and Cd's to let people put it on the moon. I think I am not going to do that because in my family it is a tradition to give these things to your family and friends when you are old and you don't need it anymore. DVDs form my grandparent will go to there children, so my parents and then they give it to us when they are old. We have been doing that for some time not always DVDs because when my grand-parents were young they didn't have DVDs, because the television just came to the people. We hand down a lot of things and I like the tradition. If I got a chance to do that I probably would I think it would be cool. The reason they are only offering a chance is because maybe they are not sure they can succeed at this task or they think they will be so many people trying to sign up there wont be enough room for all this stuff people want to put on the moon. I think this is very exciting people are being sent to the moon in about 10 years to deliver DVDS and CD'S that we have created to put on the moon. I am going to spend 15 dollars on this since it is totally worth it and I don't know why somebody wouldn't. Wouldn't be awesome if we discover in like 1000 years we able to live on the moon and they watch our movies and listen to our music? That would be spectacular and I want to see their reactions. All in all, I think everyone should send a video to the spacecraft to send to the moon. this article is about a privet lunar exploreation. for $15 you can buy a space on the discs that are being stored in the moon. the discs are being storeed from 21 yards to 109 yards into the moon's surface. This article is about a mission to the moon where they would drill a hole and put music discs in it. To put the discs in there you need to pay as little as $15. It is believed to get everything in there there will need to be a hole as big as hundreds of yards. I think this article is interesting and cool to know something like this could happen in the later future.